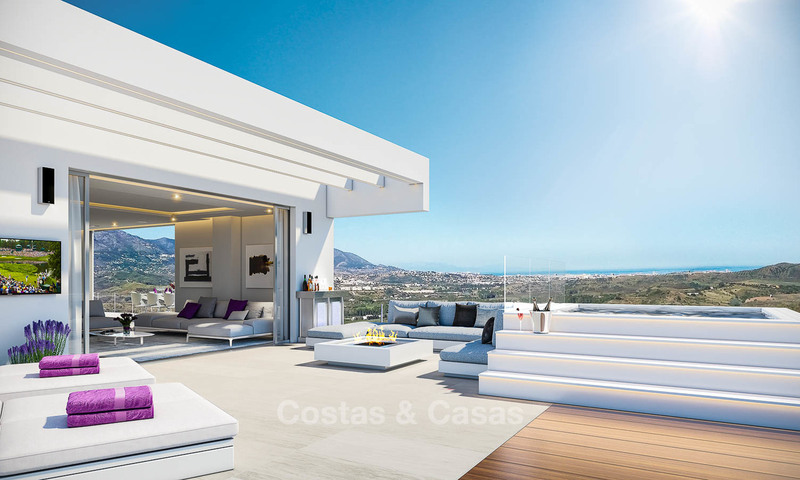 Here you will find a selection of new projects for sale being off plan villas for sale in Marbella or any other place at the Costa del Sol. 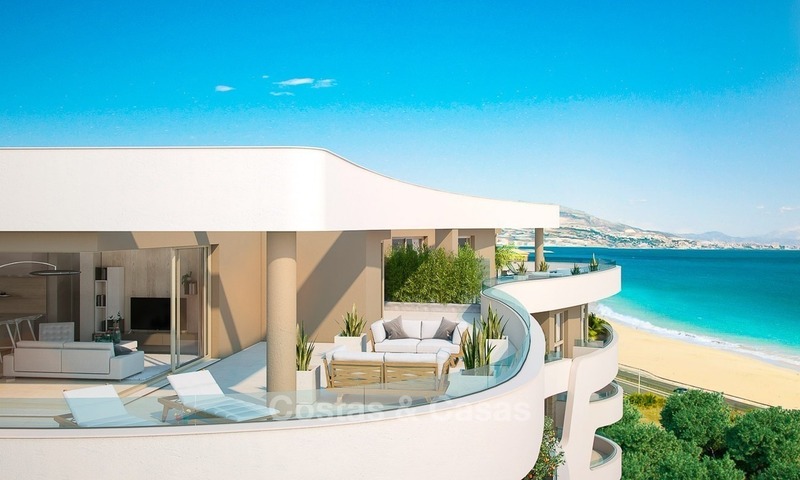 Located on an elevated position providing unparalleled views to the Mediterranean Sea, we are offering this new resort consisting of 3 elegantly designed, curved buildings. 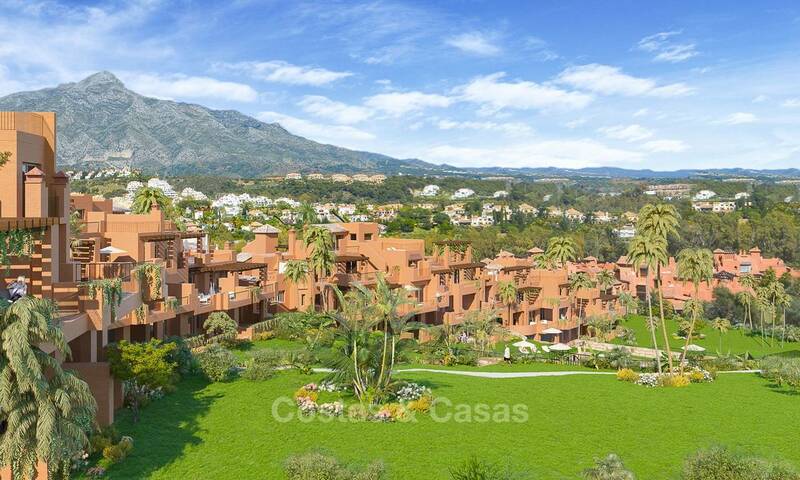 Spacious 2 and 3 bedroom Mediterranean / Andalucian style apartments. Second phase of this successful project. Stunning natural environment, in the heart of Nueva Andalucia´s Golf Valley. Last remaining apartments! Front line golf location, with stunning sea views. Directly adjacent to a highly acclaimed international golf course. Luxurious, contemporary building design with large floor to ceiling windows. 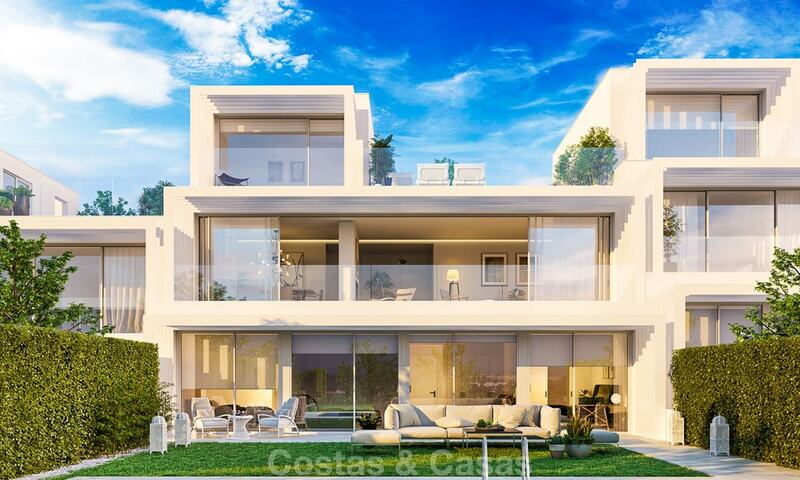 Privileged location on a golf course with panoramic sea and golf views. Low constructive density project (= few units in a large space). Superb communal facilities. Modern contemporary architectural style. 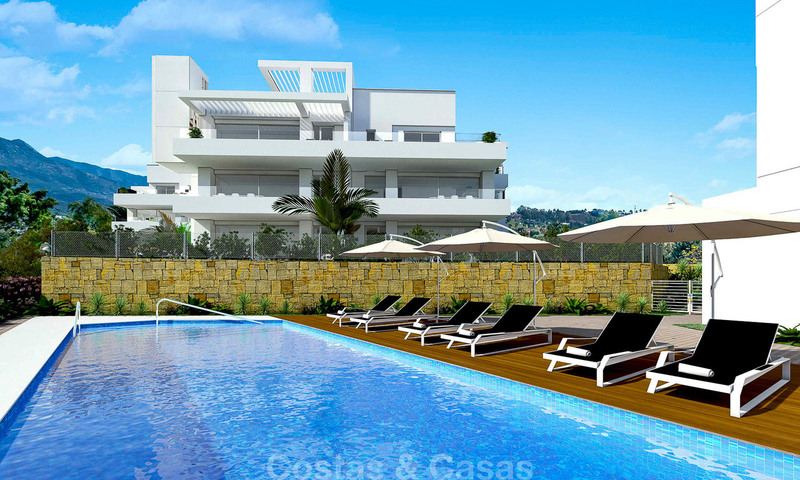 Only 14 Brand new apartments in exclusive golf resort. Generous terraces. Modern lines, contemporary design. South-west facing. Breath taking views over golf course and sea. Exclusive luxury apartments with high quality features. Modern contemporary architectural style. Large terraces. Tropical communal gardens featuring 2 large infinity pools. 1 indoor heated pool. Front line golf, directly adjacent no less than 3 championship courses. Boutique luxury resort with plenty of associated luxury features and functionality. 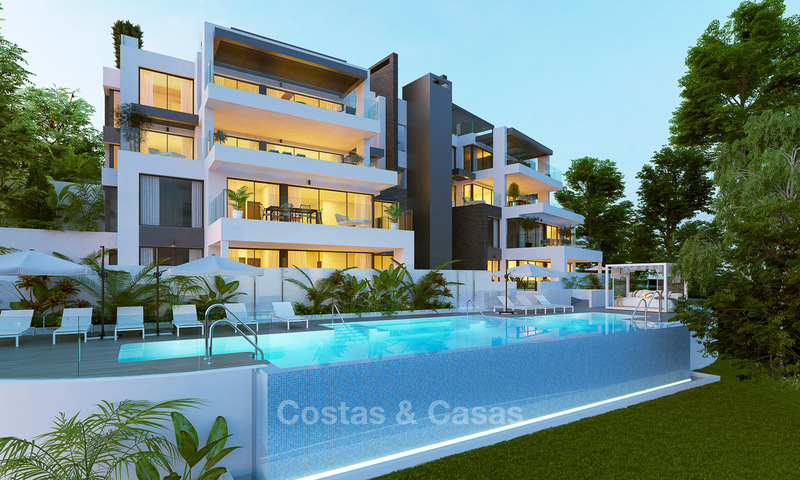 Very elegant apartments in open plan, modern design with top notch materials, technologies and finishes. Sold out, but a few RESALES AVAILABLE. READY TO MOVE IN. 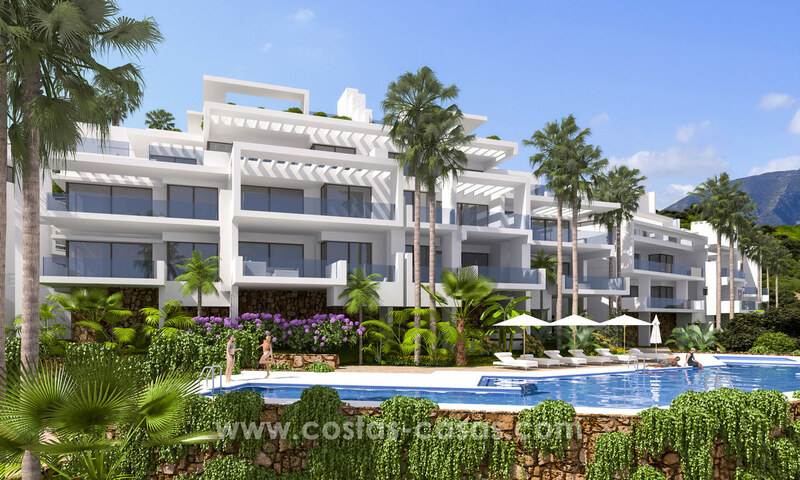 Luxurious complex of over 9 hectares of subtropical vegetation, outdoor and indoor pools. Low density building. 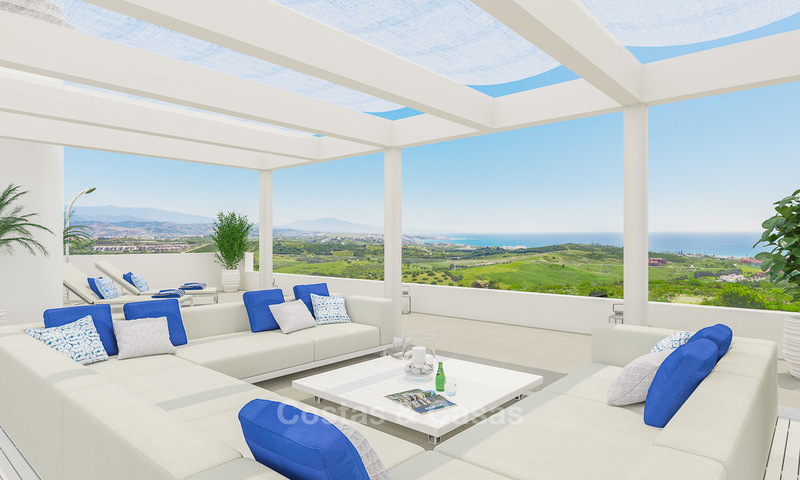 Easy sliding wIndows from floor to ceiling leading to very spacious terraces.